The Center for Agriculture and Food Security and Preparedness (CAFSP) is located at The University of Tennessee College of Veterinary Medicine in Knoxville, TN. Founded in October of 2006, the Center is dedicated to protecting and enhancing the safety of agriculture and the food supply through the conduct of investigation and research, and through the provision of high quality educational and training programs. The Center, under the direction of Dr. Sharon Thompson, combines the expertise of University of Tennessee faculty with other institutions across the country to address current issues related to food defense, food safety, foreign animal diseases, emergency preparedness, and more. The Center serves as a focal point for several key national initiatives to protect agriculture and the food supply from terrorist threats, and to promote safer food production and processing practices. 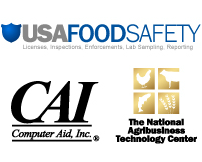 In 2011, CAFSP was awarded a $6.6 million multi-year grant from the US Food and Drug Administration to support development of a national food safety and training curriculum. CAFSP’s grant, which is designed to address training needs for food and agriculture officials identified in the Food Safety and Modernization Act, is addressing Special Processes at retail, HACCP, and food issues associated with natural and technological disasters. Additional areas of concern to food regulatory officials will be addressed over the course of the five year grant. The trainings developed through this grant are utilizing both web-based and instructor-led courses. Accrediting testing laboratories, inspection agencies, product certification agencies, personnel certification bodies and management system certification bodies, IAS is a nonprofit accreditation body based in Southern California. 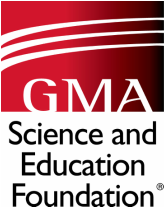 The GMA Science and Education Foundation (GMA SEF) is a 501(c)3 non-profit foundation that provides significant and meaningful scientific and educational contributions to the food and consumer products industry. Through the foundation, the global food industry can leverage state-of-the-art technologies and processes with the technical expertise provided by GMA's scientific staff to achieve timely results and solutions. 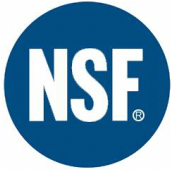 The mission of the foundation is to deliver innovative research, state-of-the art training and best-in-class education programs to the food industry and consumers and, thereby, contributes to the delivery of high quality, safe food and consumer products. Founded in 1978, Lachman Consultants provides expert compliance, regulatory affairs, and technical services to clients around the world. Lachman helps organizations to prevent and resolve compliance problems and to develop efficient and effective strategies for the submission and approval of drugs and devices. The company deploys only highly experienced consultants who consistently deliver top quality results for a diverse base of global clients—including pharmaceutical, biotechnology, medical device, and dietary supplement companies and the law firms that serve them. IRAI is a full-fledged information system, not just a website, with a well-organized table of contents that is browsable like a textbook. It has an excellent search and retrieval system using the latest version of Rocket Folio/NXT. IRAI will provide access to primary information resources and training materials of the Food and Drug Administration and other agencies that concurrently regulate aspects of the same products. Auburn University Food Systems Institute (FSI), in response to the Food Safety and Modernization Act of 2011, received a grant from the FDA to develop training programs through a Virtual Food Systems Training Consortium (VFSTC). 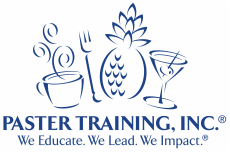 The course content is directed towards food safety Inspector and laboratory technician training in diverse areas necessary to successfully complete the safe delivery of food through harvest, production and delivery to the table. Course topics cover common food pathogens, parasites, industrial sanitation, lab techniques for detecting pathogens, inspector communications and conflict resolution. FSI has developed virtual tours from both video and 3D walkthroughs and has developed a 3D, interactive Polymerase Chain Reaction (PCR) training simulation. Currently we are focusing on developing training on sanitary production of eggs in different layer housing environments.